Architects have been approaching resilience from a building design perspective. Known as Resilient Design, this design approach is described as “the intentional design of buildings, landscapes, communities, and regions in response to vulnerabilities to disaster and disruption of normal life.” . The City has in recent years been under threat of terror attacks following reports that insurgents of the terror group Harakat Al Shabaab al Mujahideen (Al Shabaab) have cells within the country. The unfortunate attack at Westgate Shopping Mall on 21st September 2013 saw a poorly coordinated response from security agencies and the avoidable loss of many lives. A terror drill at a local University in 2015 went awry leading to further unfortunate deaths. This month, a hotel and office complex was attacked by a group of armed assailants. More than 20 were lives lost. This is indication that terror threats continue to be an important item on the security radar of the ever growing and expanding city. These cities have had varying degrees of terror threats with cities like Paris and London being well known targets. Terror prevention can be viewed mainly from an internal security and national defence perspective. It is, however, important to attempt to understand how urban planning-related approaches that can be taken to reduce the impact or influence of terror attacks once they occur. It is also important to know how urban planning strategies can contribute to preventing terror altogether. What can the built environment, and planners in particular offer towards this? Professor John Cloffe from University of Warwick in the UK specializes in resilience. In the past, he has proposed two key strategies that planners can consider to limit impacts of terror attacks. He first proposes limiting access to vehicles seeking to attack public places. Designers primarily accomplish this by putting in place measures that seek to maximize the “standoff” distance between the road and target building or location. His second proposal involves creating a visual impression that a place is under protection and impregnable to attack through the use of increasingly fortresslike design features notably bollards, gates and security cameras operating in conjunction with heavily armed and very visible policing. However, these are not ‘ultimate solutions that can prevent all kinds of attacks’. One can note that in many parts of Nairobi such attempts, in particular the latter, have been made. This is true of the barriers that existed at the recent attack site, 14 Riverside Drive. The site had up to 3 stoppages. The presence of these barriers may have saved several lives by presenting an impediment. Their absence might have otherwise allowed the terrorists an easier and straightforward entry. Limiting vehicle access to targets is slightly more difficult as most cities are planned in a highly vehicular centric manner. Roads and highways dominate the city. Urban development plans typically focus on further expansion. Although traffic calming measures are occasionally encouraged to promote pedestrian safety, they can also have undesirable impacts when viewed from an anti-terror approach. 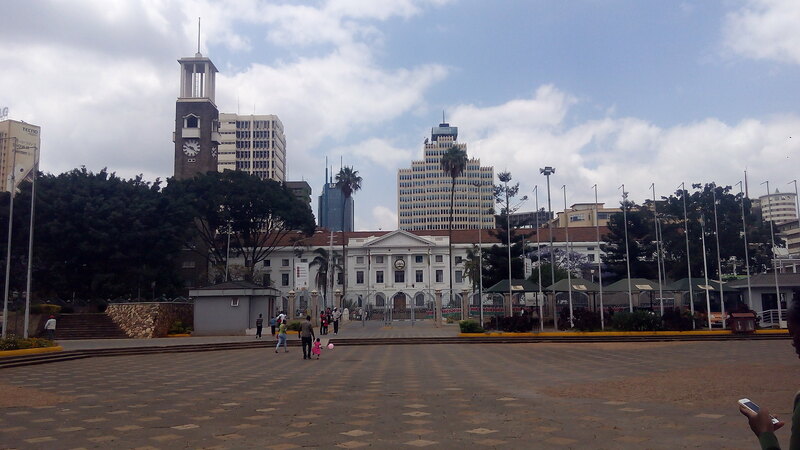 Nairobi can incorporate several more measures in its urban resilience strategy to counter terrorism and terror activities. Neighbourhood community design is critical to creating a more interactive society. Developing residential planning in a manner that encourages open spaces where people can interact and know what is happening in their neighbourhoods is one option. Many times after a terror attack, the police trace the terrorists residence and neighbours talk of how they were ‘quiet, reserved and nobody knew much about them.’ Besides helping to counteract terrorism, communities that interact in public spaces through neighbourhood events, and by the use of effective public transport, are more likely to know what is happening within them than those who don’t. City planning must also recognize that ground coverage and plot ratios have to take into consideration access for emergency vehicles as well as assembly points for citizens. These facilities are also helpful during other types of emergencies. Devolved emergency services to ward level is yet another requirement that has been advocated several times, that is fire stations and ambulances at each of the 85 wards. 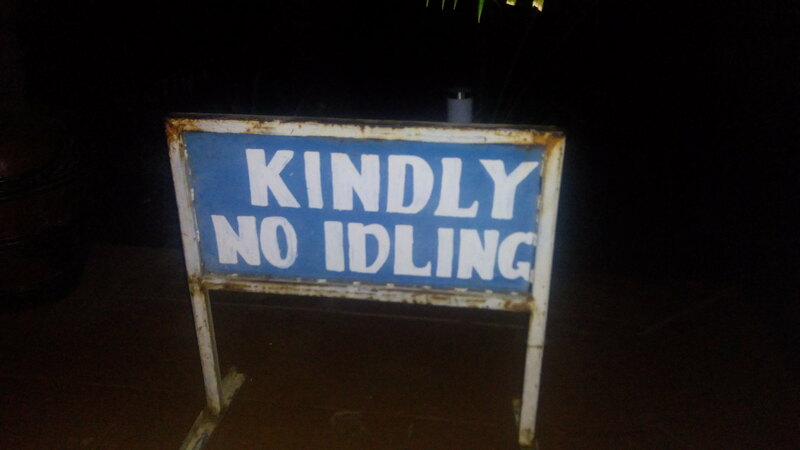 @mmnjug –No. But their digital plans should be available to security agencies when such an attack occurs. @EMungau – No. There is no guaranteeing that the same corrupt security agencies will not use them against developers. Many say that the experience of the Riverside Attack has shown a marked improvement in how the defence and police authorities responded. There was a quicker reaction time and clearer information to the public. It was a better coordinated approach (various security organs), that lasted a much shorter period of time compared to the previous terror attacks. Several lives were saved because of this. As citizens, we can only hope that there will be no more similar attacks. City planners now have to continue asking themselves how they can help be prepared for these and other shocks. Residential towers that are built beacon to beacon with parking underneath the building, and lifts leading to individual floors, means that without open spaces, residents never get to interact and know their neighbours. This is a planning issue that requires to be addressed.